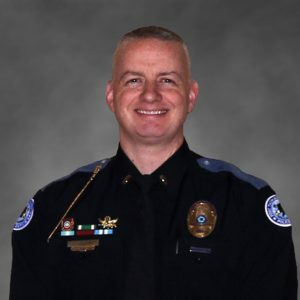 Chief Kilgore has been serving as Chief of Police since August 1, 2018. Kilgore began his policing career at Fort Thomas in 2000. Chief Kilgore is very personally invested and well-known in the Fort Thomas community. During the course of his career in the city he has served in a number of positions including detective, sergeant, lieutenant, field training officer, SWAT Team commander, media officer, and bike patrol officer.